Succulent Gardens – Succulents in Bulk! 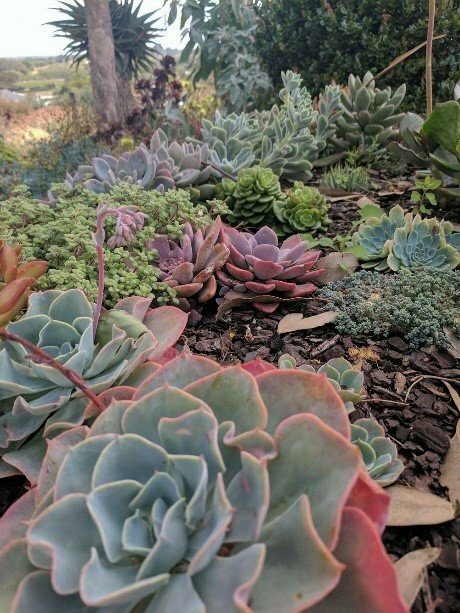 Succulent Gardens is a wholesale and retail nursery in Castroville, California that offers over 400 different varieties of plants. The owner, Robin Stockwell, has been growing succulents since 1972 and has channeled his passion and experience into creating a succulent oasis that draws gardeners from around the world. Covering three acres, the nursery boasts an ever-changing selection of plants both in greenhouses and outdoor display gardens. Every plant that leaves the nursery is labeled with its botanical name and specific care information to ensure that gardeners are both satisfied and fully informed. If you’re in the area, Succulent Gardens is open to the public and you can pick out your new plants in person. They’re open 8 AM to 4 PM, Monday through Saturday, and 9 AM to 4 PM on Sunday. If you can’t make it to the nursery in-person, you can tour the nursery by video on their website. The first thing to note about Succulent Gardens is this: they don’t sell individual plants. No singles. They do have a lot of variety in their flats, though, which makes them an awesome option for bulk succulents. Succulent Gardens’ website offers assorted small succulents, shipped in 2” pots, in packs of 6, 10, or 64. These packs range in price from $28 to $199. Assorted medium succulents, shipped in 4” pots, are available in packs of 4, 8, or 15, and are priced from $27 to $83. The nursery staff chooses the varieties shipped in these assortments, depending on the season and what they have available, but if you have any special requests you may contact the nursery. For gardeners interested in building living pictures, they have an assortment of cuttings uniquely intended for this purpose. Starting at $109, these cuttings are comprised of 85% Sempervivums and 15% Echeverias. These, too, are dependent on seasonal and nursery availability. Like the potted succulents, if you have any special requests, the nursery staff would be happy to discuss your options. You can even pick up your succulents at the nursery if you give them 24 hours’ notice to prepare the cuttings. 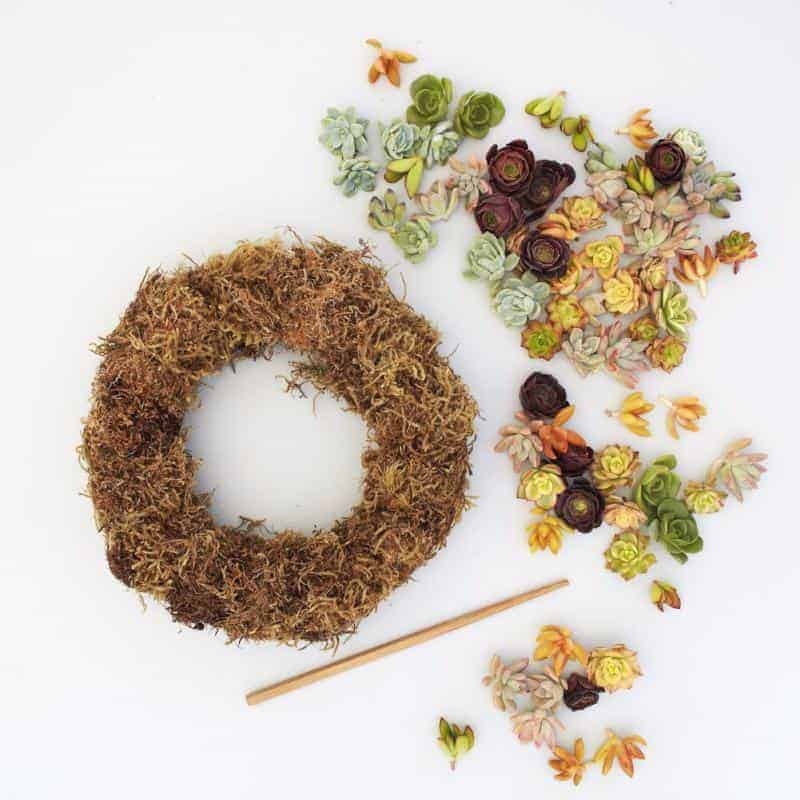 If you’re interested in the unique beauty of a succulent wreath, Succulent Gardens has you covered with their wreath cutting assortment. Depending on the size of the wreath, they recommend between 150-250 plants. Starting at $87, these cuttings are mostly a combination of Crassula and Sedum, with a few Aeonium, Echeveria, and Graptopetalum for accents. Finished wreaths are also sold but are not always available on their website. Succulent Gardens also offers assorted Tillandsia in 6, 12, and 24 packs. These assortments contain a variety of shapes and sizes, depending on the season and nursery availability. Once again, the nursery is happy to accommodate any special requests. Click to check out this gorgeous wreath! In addition to their nearly endless array of plants, Succulent Gardens offers a vast selection of planters and wreaths. The stunning redwood planters come in shapes ranging from simple letters and numbers to the state of California. They also offer a selection of DIY kits, which include everything you need to create your own succulent centerpiece or living picture. 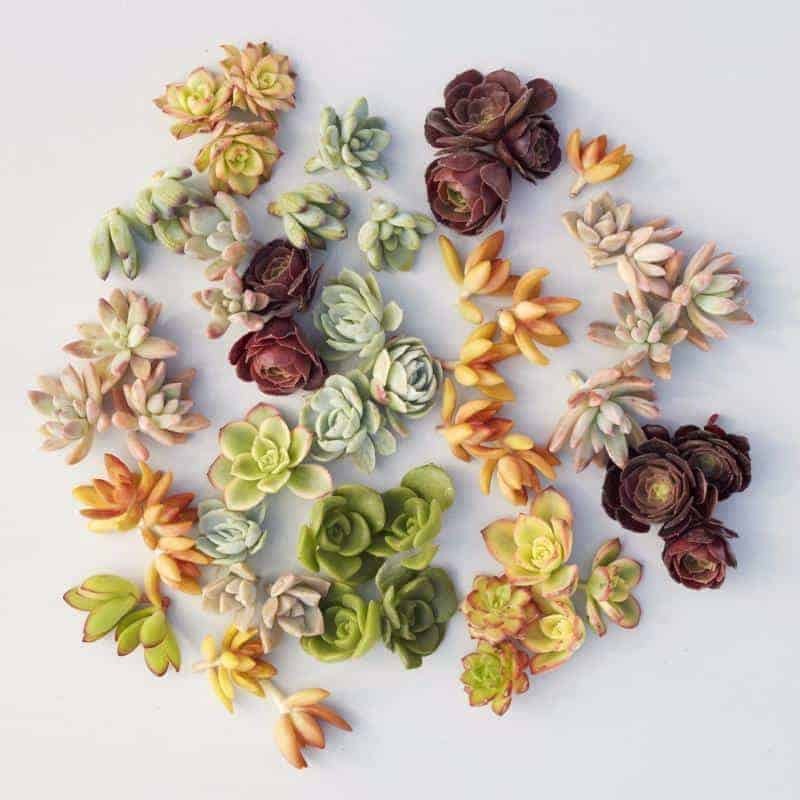 These make great gifts and are a great starting point for those just getting started with succulents. The nursery also offers a corporate gifting program, intended to help businesses seeking eco-friendly, locally made gifts for employees and clients. You can contact the nursery’s sales team for more information on this program. These kits and centerpieces also make beautiful wedding decorations or favors, and the nursery staff would be happy to help you decorate for the wedding of your dreams. Succulent Gardens also offers wholesale pricing, which can be achieved by filling out a form available on their website. As a wholesaler you not only benefit from competitive prices, but you will receive a weekly availability email and flexible delivery options. Plants are available individually or in full flats in pots ranging from 2 inches to 15 gallons. To qualify for wholesale pricing, you must have the relevant documents and your initial order must exceed $200. All subsequent orders must exceed $100 and an order must be placed at least once every six months. One of the highlights of Succulent Gardens is their online Gardening Library. Here you can find everything from how-to’s to succulent care advice. Their library contains specific care information for over 120 different varieties, including Aeonium, Echeveria, Sedum, and more. Here you can find a plant’s light requirements, average size, hardiness, and whether it’s best suited for containers or landscaping. The how-to section of the library gives step-by-step instruction on building your very own living picture, modular wall panel, and wreath. You can also find maintenance and continued care tips for your creations. Whether you’re new to the succulent scene or a seasoned expert, Succulent Gardens’ blog contains a wealth of information that everyone can benefit from. Perusing the blog archive you can find articles about basic succulent care, seasonal tips, staff recommendations, and plant variety highlights. Each article is succinct, informative, and absolutely fascinating. It’s clear from the comments that Succulent Gardens is loved by readers from around the world. If you’re interested in learning new ways to display your collection, Succulent Gardens offers a variety of monthly classes on location in California. Whether you’re interested in building a living picture or simply upping your container gardening game, they have just what you’re looking for. Classes cost between $40 and $80 and include everything you need to create a beautiful, living project to take home. Succulent Gardens is a haven for succulent lovers. It’s clear that the owner and staff are passionate about their plants. Although you don’t necessarily get to choose the plants included in the succulent assortments, you can be assured that the staff have used their decades of knowledge to provide you with the very best they have to offer. They are happy to accommodate special requests and have a nearly endless library of information available at the click of a button. The DIY kits are reasonably priced and make great gifts for friends, family, clients, and coworkers. With their corporate gifting program and wholesale pricing you can be sure to find exactly what you’re looking for within your budget. If you’re lucky enough to be near Castroville, California, you can visit Succulent Gardens in person and experience their incredible selection and knowledge for yourself. You can take a class or just stroll through their beautiful display gardens and greenhouses. Of course, if you have any questions the staff would be more than happy to assist you. Succulent Gardens is a great place for both experienced gardeners and those new to the succulent scene to expand their collection and their knowledge.